I confirm I am at least 16 years old. I consent to the collection of this data for intended purposes. This is optional. Include your website address if you have one. We would be grateful if give us permission to take photos, video or audio of you and allow The Lightfoot Way full rights to use the images and videos resulting from the photography/video filming/audio recording, and any reproductions or adaptations of the images, videos and recordings for publicity or other purpose. This might include (but is not limited to), the right to use them in printed and online publicity, social media and press releases. Cancellation Policy: The deposit is non-refundable and non-transferable upon registration. Should you cancel prior to 2 weeks before the start date, the remainder paid after the deposit will be refunded. Should you cancel after 2 weeks from the start date, the balance may be transferred to a future animal wellness coach program. Please acknowledge you understand this policy. I acknowledge, understand and agree to the cancellation policy. If registering for semi-private, are you interested in airport pick up and return from Bozeman, MT? Fee is $75 total for pick and return. 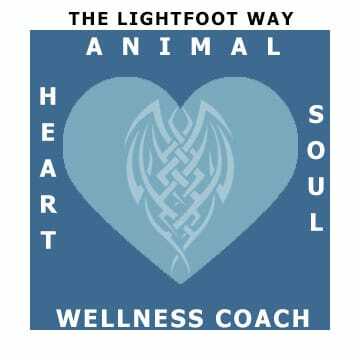 Click here to learn more about the Animal Wellness Coach Certification Program. This program is for animal professionals and dedicated pet parents. If you desire a payment plan please let us know. One of the best places to learn is through our Learning Center. For any questions, press, media or general inquiries, visit our online contact form. Join thousands of readers worldwide and sign up for our emails filled with holistic animal care articles, learning opportunities and specials for our readers. 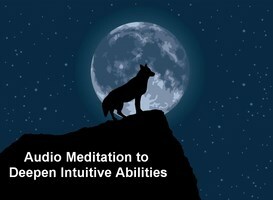 Receive as our gift our audio meditation to help you open up your intuitive abilities. Over 150 articles available!